Our technical team handles projects of every size, in even the most challenging scientific and technological disciplines. 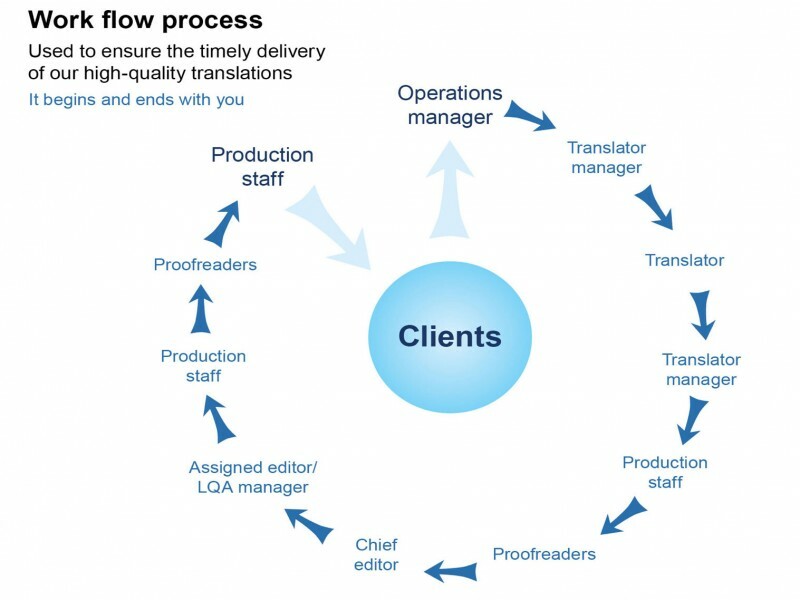 Each translator’s technical expertise and linguistic capabilities are evaluated carefully, and your project manager (PM) assigns each part of your translation to the team member most qualified to complete it. The client needed a set of 2D and 3D solid modeling technical illustrations and schematics for radar equipment parts in a foreign language reconstructed into an English version. Working in Pro/Engineer CREO product design software, we were able to extract 5000 CAD drawings and relevant text. We then translated the text to English from each level of the drawings and produced a fully functional English version. Our multinational Client required translation of three modules of their online training classes from English into Japanese and Simplified Chinese, as well as provision of an inventory of the files named accordingly in the two mentioned languages. Having 21 days to deliver the final product, the native speakers employed for the translation of 1,200,000 words, along with the production team and editing staff, coordinated work that involved checking and re-checking of the linguistic integrity of the translated modules. The file-naming structure was tested for ease of access and comprehension level, with the project being completed within the designated timeframe. Our Client was in the process of selling off a large global division of its company and wanted all documents related to the business and legal aspects of the sale translated from 27 languages into English. In order to turn over a project consisting of the translation of 50,000 pages in a two-month period, we had to make use of the best translators in the business and to have top-notch management personnel organize material sent from the Client in hardcopy form. Averaging out to producing over 100,000 translated words per day, our company showed its mettle in handling large-volume projects in a timely manner, without sacrificing accuracy for turnaround speed. The leading bio-pharmaceutical company in the U.S. had six months to file a submission to the FDA. Our work involved the translation of 450 French case reports, 195 pages each, as well as SAS reconciliation and the establishment of links of each page in English back to the original French page. After designing a CRF template, and having the first translated report approved by the Client, the massive project ensued, requiring 12 temporary employees and computers. There was daily communication with the Client, from whom important and constructive feedback was received, including changes and updates to the medical reports. Practically working around the clock, we were able to furnish the company with highly precise documentation requested by the regulatory authorities, while maintaining a high level of service to our many other customers. Thirteen U.S. websites of this global company needed to be translated into Spanish and Portuguese. This was a project that involved the translation and linguistic proofreading of almost 240,000 words, and that also required a mapping out of the Internet sites, all within three weeks. Highly skilled native speakers of Spanish and Portuguese were employed in this extensive process, requiring keen management skills and a two-tiered quality assurance plan as well as a precise mapping process. In its final form, our product allowed the Client to succeed in obtaining easily comprehended and informative multilingual websites for its international clientele.